The world of internet has become the biggest resource of knowledge for people all over the world. There is no restriction on accessing and submission of information on this huge resource. Due to this reason people from every walk of life access the internet whenever they need information regarding their personal or professional matter. These people include students of every level, housewives, doctors, engineers, business professional, politicians and any person who need to know something new. Taking advantage of this situation the webmasters are promoting their products, services and contents in bulk on daily basis. For successful promotion of all their information they need to deploy different search engine optimization techniques effectively. The most important medium that is responsible for connection between online users and webmasters is search engine. Any user looking for whichever type of online information will approach to search engine initially. They will enter the type of information they are looking for and it is job of search engine to show all the related information available on internet. Therefore, it can be concluded that search engine plays an important role in increasing traffic and popularity of any website. Due to this reason all webmasters try their best to secure top ranks in results displayed by search engine. To acquire their desired results they produce content that can be approved by search engine spiders instead of for information sake of users. This way they compromise on quality of content for higher ranking on search engine. Google is the most widely used search engine worldwide and webmasters also compete for ranking on this world famous engine. 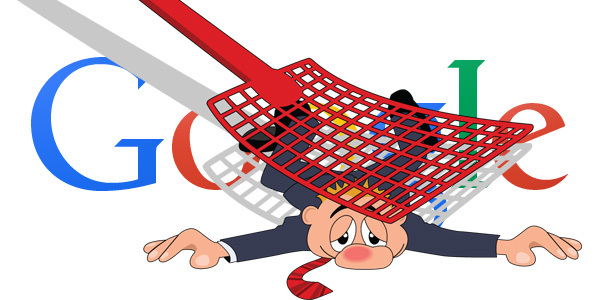 However, Google has decided to put check on current scenario of search engine optimization and introduced over SEO penalty to provide quality content to internet users. To achieve high ranking on search engines many webmasters use web spamming tactics. These tactics include website linking with irrelevant content, keyword stuffing and other black hat SEO techniques. To avoid all these tactics, various filters are used in algorithms of Google. Any website caught using these tactics will be demoted in their ranks by Google. Those websites using keywords stuffing techniques in meta-tags have to deal with Google penalty. Soul of any website is its content. Therefore, to achieve good ranking on renowned search engines it will become imperative for websites to produce unique, original and informative content only. Any content with stuffed keywords will not only be demoralized but websites can also suffer heavy loss. The Google search engine also evaluates search engine optimization techniques used by website through links. The new algorithm used by Google evaluates the anchor text on link and also scrutinize the trust factor of sites using this link. Those links associated with diverse anchor texts and linked with authorized websites can also earn higher page ranks. These checks and new regulations can help in promotion of high quality content and availability of authentic information on internet. As, websites have to strive for higher ranks through quality services and content. NextIs SEO Marketing Essential for Businesses?